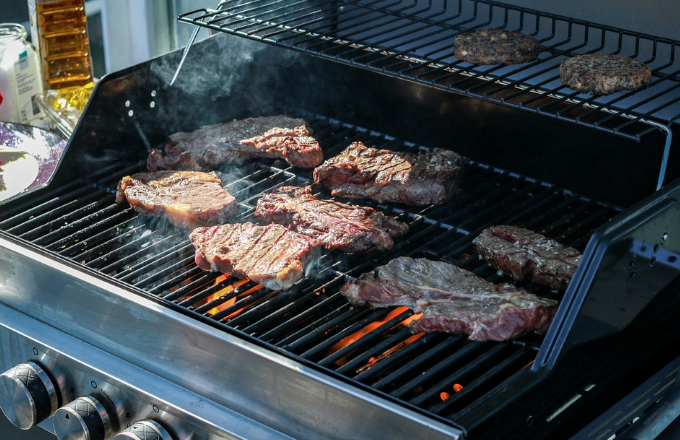 How Long Should a Propane Grill Last? Avoid the expense and inconvenience of running out of propane during summer grilling. Whether you BBQ grill for camping or just at your house, follow these propane tips to keep your fuel tank in top condition and lengthen the lifespan of your propane gas. What is propane? In a nutshell, propane is the byproduct of petroleum refining and natural gas. This fossil fuel provides much-needed fuel whether you BBQ grill for camping, at home, or for a big event. For the most part, gas barbecues and stoves use propane. Some homeowners will use propane for their water heater, campers, or furnace. Most standard propane tanks will provide about eighteen hours of grilling. Expect about half that time for larger grills. Not all fuel gauges are accurate. If you suspect that you have issues with your fuel gauge or propane tank, contact our professionals about repairing your grill. Regular preventative maintenance is key to keep your tank in good condition for a long period of time. Large stationary tanks need to be recertified every decade. Check your propane tank for leaks and rusting. Check fuel quality. No propane tank should be at more than eighty percent capacity. The float gauge will let you know if you need to refill your tank. Speak with a professional about when you need to refill your propane tank. 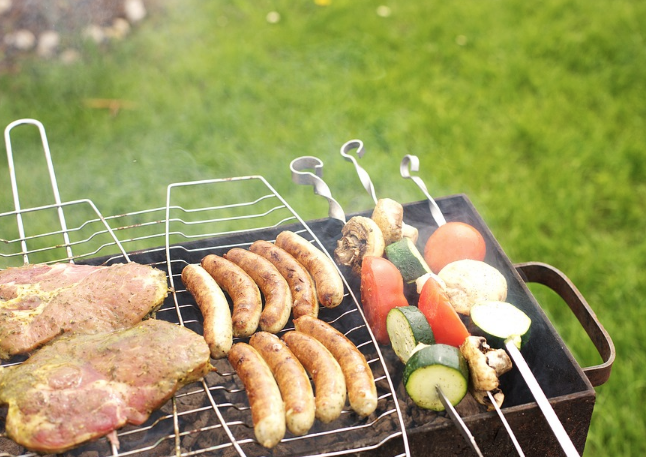 Follow a regular maintenance schedule for your gas grill and propane tank. This will minimize rust and deterioration, as well as protect your family from any dangers from an unsafe grill. Exposure to the elements will greatly deteriorate your grill, especially in very cold climates. Always move your unused gas grill to the shed or other shelter during the winter months. If you take care of your gas grill, it can provide you with a decade of grilling. Sunshine is on its way, and with the sunshine comes grilling. Check out these top recipes perfect for gas grilling for beginners. From delicious kabobs to mesquite salmon, find the best grilling delicacy to wow your friends and family this summer. No one can deny the deliciousness of juicy kabobs. 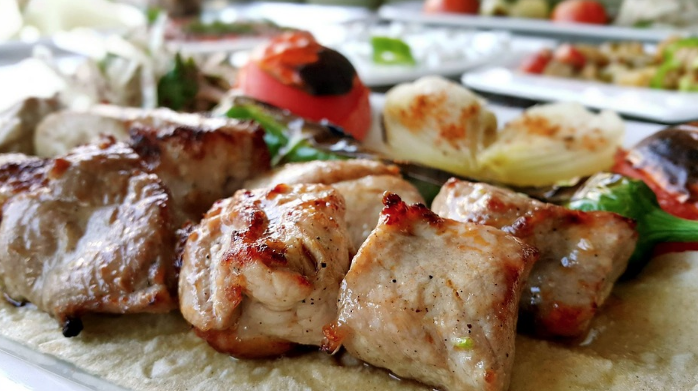 One of the easiest recipes for gas grilling for beginners – kabobs – mixes together delicious meat morsels with smoky vegetables. Combine flavorful options like shrimp, mushrooms, and peppers, or ham with pineapple and onions. Have everyone assemble their own kabobs for an individualized tasty treat. Enjoy seafood kabobs or vegetarian kabobs. There is a kabob for every grill master. 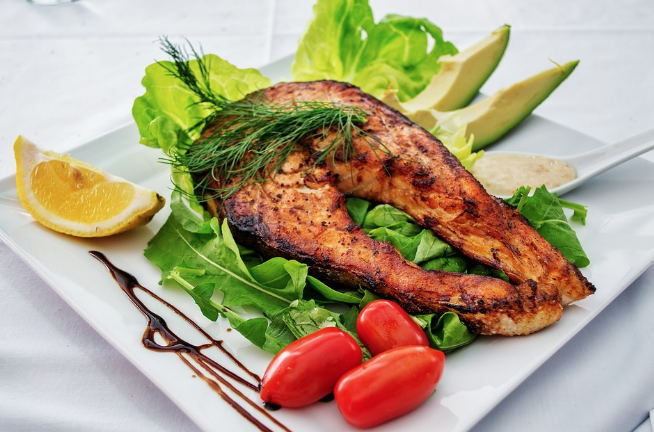 We usually associate grilling with steaks and ribs, but fish has made a comeback in recent years as a top grilling delicacy. Coat fresh raw salmon filets in lemon juice, dill, salt, pepper, and thyme. Add mesquite chips to your grill according to the instructions on the package. Grill the salmon covered on medium high heat for several minutes. Turn the salmon and reapply lemon juice and seasonings. Grill a few more minutes. The salmon is done when it flakes with a fork. Nothing tastes as juicy as a grilled Portobello mushroom. Brush Italian dressing over mushrooms, bell peppers, and sliced onions. Grill veggies over medium hot coals for two minutes. Turn vegetables. Continue to brush with dressing. Remove onions and peppers. Flip the mushrooms again and apply provolone cheese. Remove when cheese is melted. Add mushroom and toppings to toasted buns. Create a coating using paprika, onion powder, basil, garlic powder, black pepper, and red pepper. Rub on the ribs. Cut ribs into smaller rib pieces. Create aluminum foil packets. Each square has two pounds of ribs and three ice cubes. Place foil packets over medium coals for forty-five minutes or until meat is tender. Carefully open packets. Transfer ribs to grill and brush with your favorite barbecue sauce. Cook for ten minutes. Run and coat meat often. Enjoy these delicious barbecue favorites with your family this summer! Believe it or not, spring and summer will eventually follow the cold snows of winter. The warm weather is a great time to prep a gas grill and get it ready for warmer weather. Prepare your grill for the spring with these professional grill tips. Get ready to grill for friends and family. You will need a pail of soap and warm water, paper towels, a sponge, and a scrub brush before starting. Before you prep a gas grill or a charcoal grill, you need to clean it. Wipe down the grill exterior, then start working on the inside of the grill. Remove any splatter and grime. Spray down a stainless steel grill with specialized cleaner for that extra shine. Cleaning the grates requires a wire bristled grill brush. Take the grate off and clean with soap and water. Add vinegar to make the job a little easier. Remove rust and cooked on food with a sponge after scrubbing. Be sure that your grates are clean before spring. Coat them with vegetable oil. Check the vents for any additional debris. Check your grill for safety. Make sure that vents are clear of any dirt or grime to prevent a fire hazard. Check the hoses for any cracks and leaks. Check all hoses and tubing. Replace any that are damaged. Check ignition parts for grease. Before you start to clean your grill and check it for safety. Review your owner’s manual. If you can’t find your owner’s manual, most grill manuals are available online from the manufacturer. Or you can contact them and request the manual. Get your grill ready for the spring. Now that it is clean and ready to go, you can enjoy making new memories with your friends and family. Grill time! Whether you are staying up late with friends or enjoying a weekend with the family, chances are you will get hungry along the way. Cook up something amazing with these unique grilling ideas for the new year. Celebrate the new year with a new recipe perfect for any BBQ grill master. Nothing says luxurious eating like grilled lobster. For some unique grilling ideas, try this quick shellfish recipe. You will need lobster tails (as fresh as you can afford), melted butter, lemon juice, chili powder, and salt. For the salsa you will need eight fresh tomatoes, six hot chilies, fresh mango chunks, cilantro, and an onion. For this recipe you will need skewers, several pieces of cut pineapple, peppers, and onion, cherry tomatoes, small cubes of meat (chicken, pork, or steak), and Bella mushrooms. You can also season each skewer with paprika or black pepper to taste. With this easy grill recipe you will need New York strip steaks, black pepper, white pepper, chili powder. Enjoy these scrumptious recipes for the new year with your family and friends. Learning how to grill using charcoal grill vents is about controlling the heat. 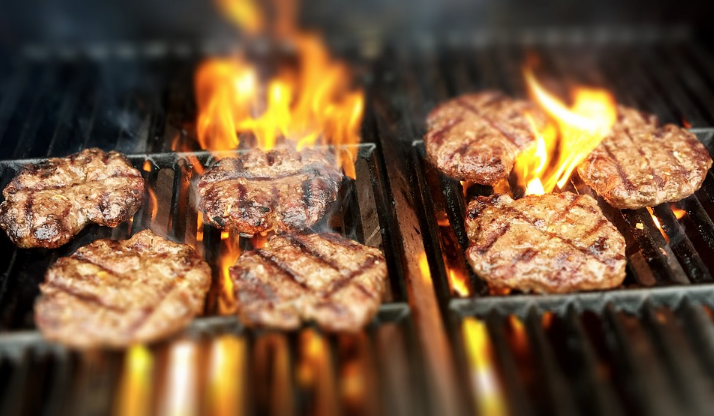 Grilling for beginners can seem difficult, but if you are cooking with wood or charcoal, it is important to understand how to use your grill. Read more to find out some professional tips. Two combustible fuels (charcoal or wood) and oxygen determine the temperature of the grill. Learning how to control the temperature is a key to learn the ins and outs of grilling for beginners. Most grills have two oxygen controls: the intake damper and the exhaust damper. The intake damper brings oxygen to the grill fire. The exhaust damper exhaust gas and pulls in oxygen through the intake dampers. The intake damper provides the charcoal or wood with oxygen. If you close off the intake damper, you starve the fire, causing it to burn out. Open it entirely and the temperature rises. The exhaust damper allow combustion gases to escape. It also pulls in the oxygen. Avoid closing the exhaust damper all the way. Otherwise, you might just smother your fire. As you learn how to use the dampers to reach key temperatures (usually between 225-325 F or about 105-160 C), try to only work with one vent (the intake damper). If you need practice, try reaching the right temperatures without any food. What if I can’t Reachthe Right Temperature? If you are still having problems reaching the correct temperatures after a few dry runs, a leak may be the issue. On less expensive grills that do not have tight seals, oxygen can enter and escape. Offset smokers often have this issue. Food safe silicone might be able to tame leaks, but you may need a professional to look at your grill if this continues to be an issue. Cooking out for your friends and family is an enjoyable experience. Learn the basics of grilling with our professional tips. Enjoy making new memories around the grill!